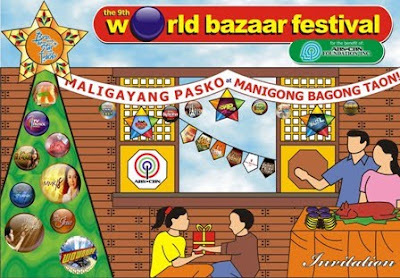 In its 9th year, the Worlbex Services International, through the World Bazaar Festival 2009, will give the gift of Pasig River rehabilitation to Filipinos via an initiative called Kapit Bisig sa Ilog Pasig. The project which aims to rehabilitate the moribund 17-kilometer river system, top-bills a partnership between Worldbex Services International and ABS-CBN Network. Part of the proceeds and net of costs of this year’s World Bazaar Festival will go Kapit Bisig sa Ilog Pasig. So from December 4-16 at the World Trade Center Manila, participants in the largest Christmas bazaar in the country will not only get the best holiday finds with the over 600,000 booths, they’ll also get the chance to help clean the Pasig River. Kapit Bisig Para sa Ilog Pasig is the most comprehensive and ambitious effort to clean Pasig River to date. It has charted a seven-year campaign to tackle pollution, help relocate informal settlers, provide livelihood opportunities and launch a major information campaign. 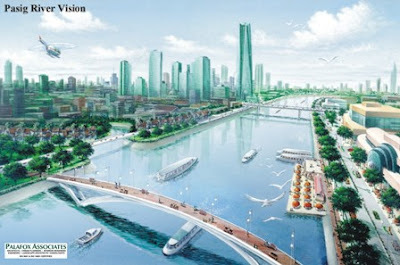 They also envision the implementation of a 10-meter easement to pave the way for the execution of its projects. The plan has identified vacant lots and blighted areas which, when cleared, are prime sites for urban renewal projects. There will also be 10 parks along the 27-km stretch of the Pasig, four more bridges, a ferry system and parallel modes of transportation. For more information, SMS/call Mr. Mike Bayonito or Carlos Polangcos at Mobile #s: +639228354735/ +639189424303 or call through landline #s: (632) 5343615, 5341332, 5341334, 5316350, 5316374.